when do you use pingshi and tōngcháng in what situations? So many words for 'often.' 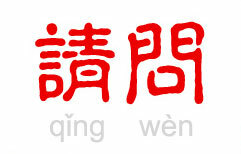 In this Qing Wen, we dissect three of the more common ones: 常常，经常，and 通常 (chángcháng, jīngcháng and tōngcháng). Listen in and learn the difference as you explore the mundane routines of your ChinesePod hosts.